O’Donnell Consulting performs engineering design, analysis and troubleshooting services on components using (thermal, stress, vibration and fatigue) finite element analysis to API, AWS, ASME and other codes, ensuring structural integrity. We provide engineering support in the entire life-cycle of equipment and facilities – from assisting in product development, to resolving operational issues, to providing support on equipment nearing the end of design life. Our most valuable tool is the experience and creativity of our engineering team – performing design, analysis and troubleshooting on components including pressure vessels, heat exchangers, condensors, mixers, pumps, valves, conveyors, and welded assemblies. "We are often asked to solve difficult engineering problems - the key to our effectiveness has been our ability to integrate interdisciplinary talent in materials science and engineering analysis and our commitment to engineering excellence." We provide engineering solutions - solving, correcting, and preventing structural problems. Through thermal, stress, vibration and fatigue analysis to materials/ metallurgical troubleshooting, failure analysis, and repair - using "hands on" engineering, we offer expertise to help you solve your technical challenges. Should technical challenges manifest themselves in litigation, we provide Expert Witness Services - assisting in their resolution. We have been providing solutions for over 40 years to numerous industries including aerospace, power generation, nuclear, manufacturing, automotive, consumer products, mining, and construction industries. See Resume Summaries of our senior engineers. Visit Portfolio to read about our previous cases. 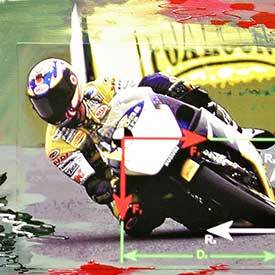 For a short listing of books, databases, and other engineering resources, see our Links page. 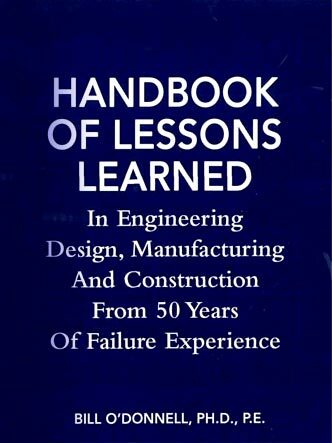 If you're interested in learning more about Engineering Design, Manufacturing and Construction, as well as Failure Analysis, then this book is a must have!